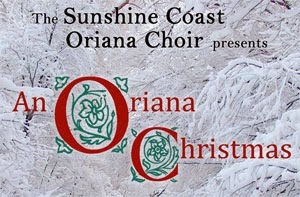 An Oriana Christmas – A feast for the senses The internationally acclaimed Sunshine Coast Oriana Choir are mixing the ingredients for a wonderful Christmas feast of music, with medieval folk songs, African spirituals, traditional English carols and modern festive classics. The Oriana Youth choir will also perform. The singers will present two performances, one in Maleny on the 30th of November at 7:30pm and one in Caloundra on December 1st at 2:00pm. A yummy Christmas supper/afternoon tea will be included! A highlight of the seasonal concerts will be the Oriana Ladies' Chorus presenting Benjamin Britten's Ceremony of Carols accompanied by harpist Rosemary Hallo, who is flying all the way from Adelaide. Ms Hallo played with the choir in 2006 and is delighted to be returning for these special performances. 2013 marks the 100 year anniversary of Britten's birth and so choirs around the world are performing this hauntingly beautiful work in celebration this year.